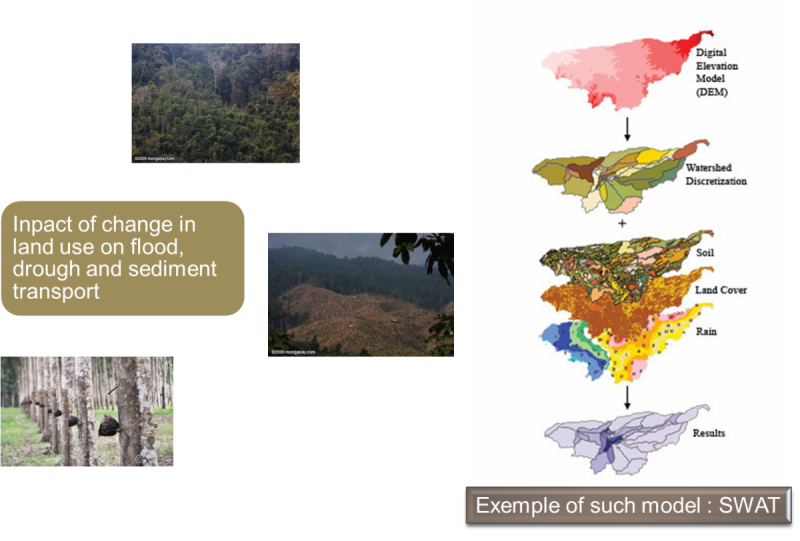 The data collected from the hydro-meteorological network may be of high importance to develop more complex analysis in Nam Ton watershed. 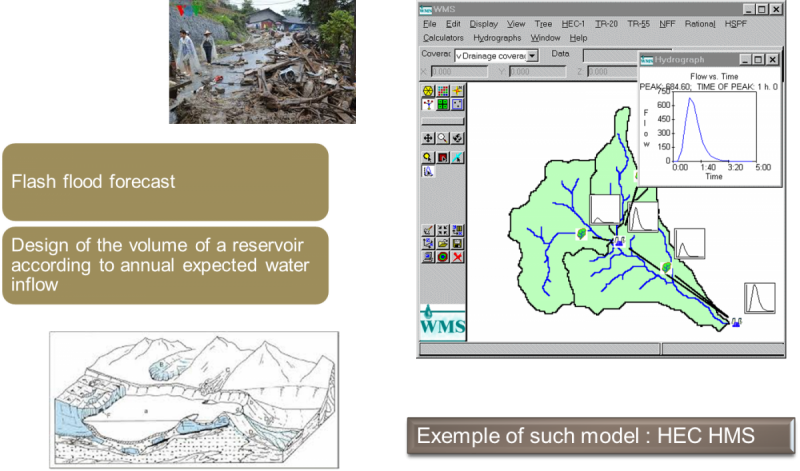 The most typical models that could be developed in Nam Ton Watershed are shown hereunder. 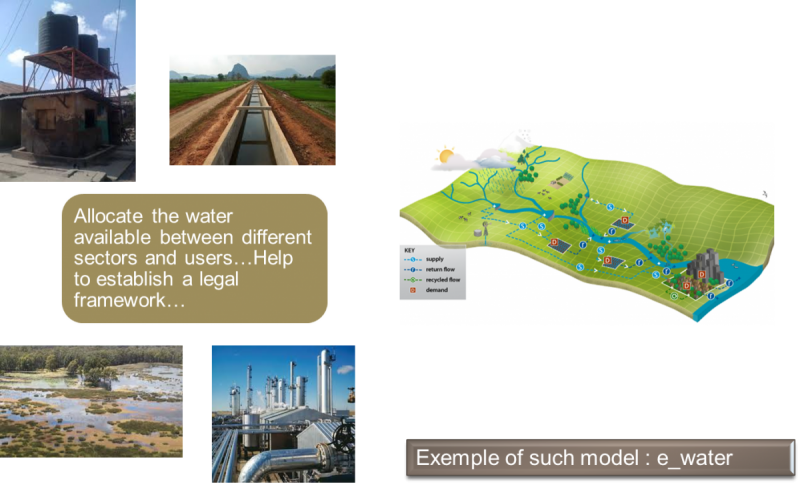 Partnerships must be found for going a step forward in the development of such models. 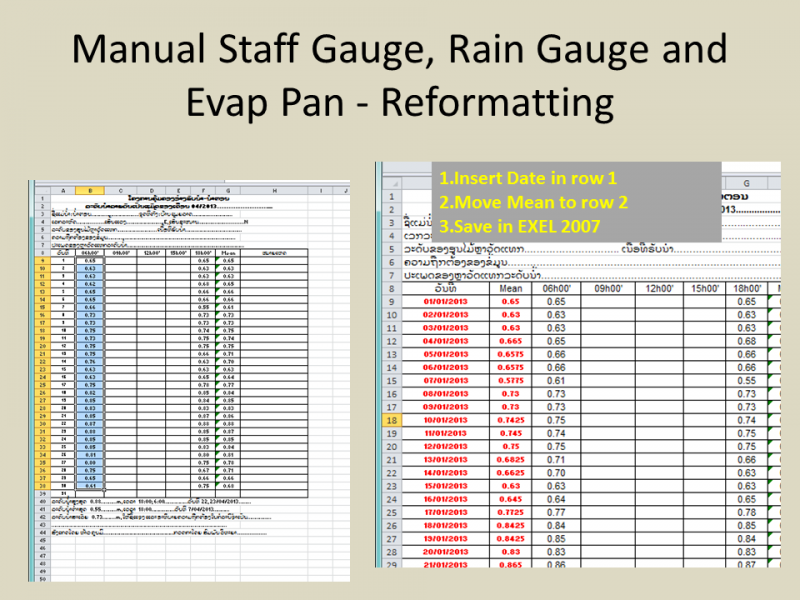 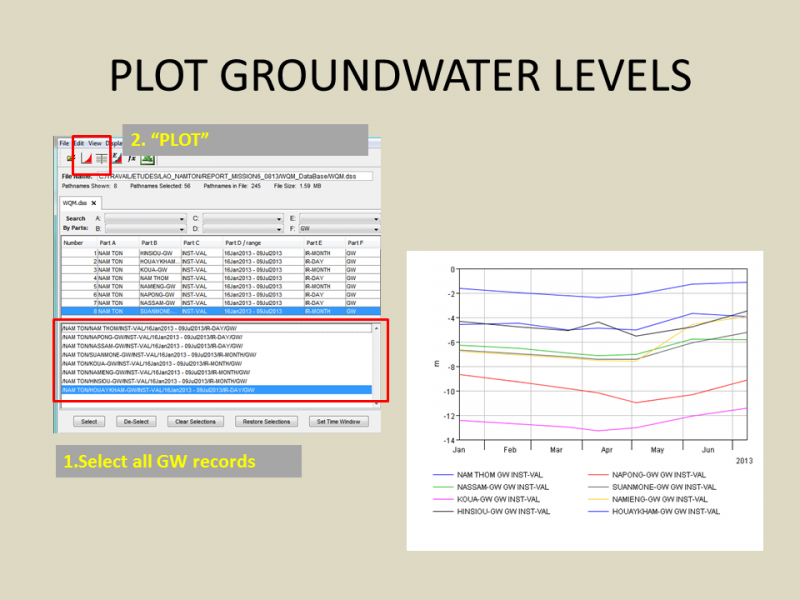 The data are collected from the field every month (downloading of the data stored in the data loggers for the 2 automatic stations), collect of forms filled by the readers for the staff gauges, rain gauges and evaporation pan as well as field measurement for the water level in the test boreholes. 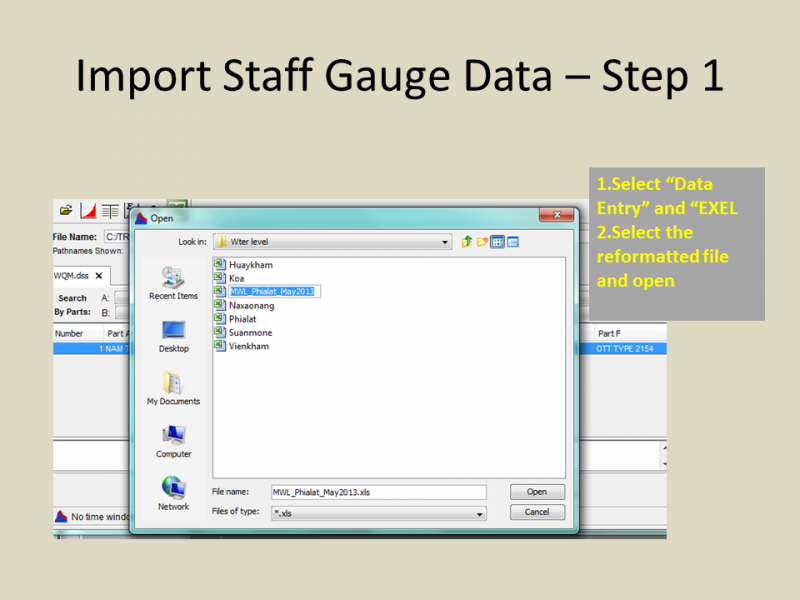 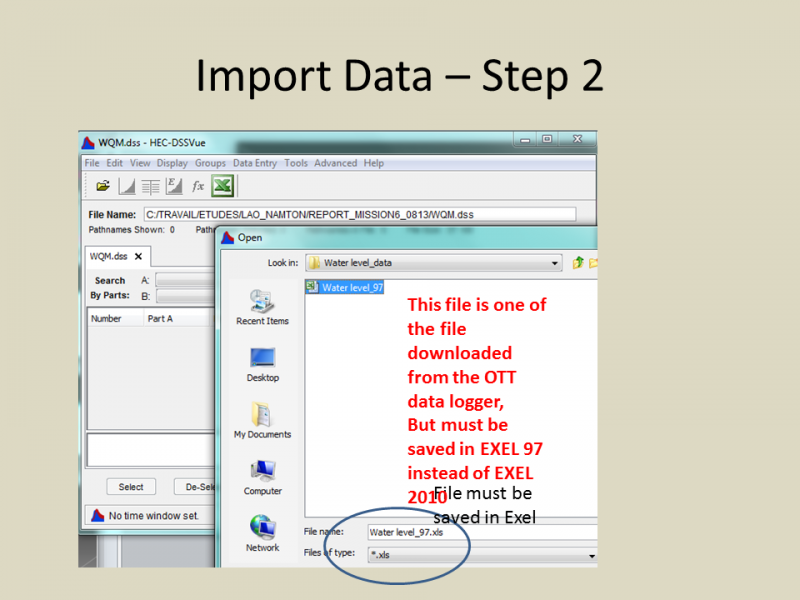 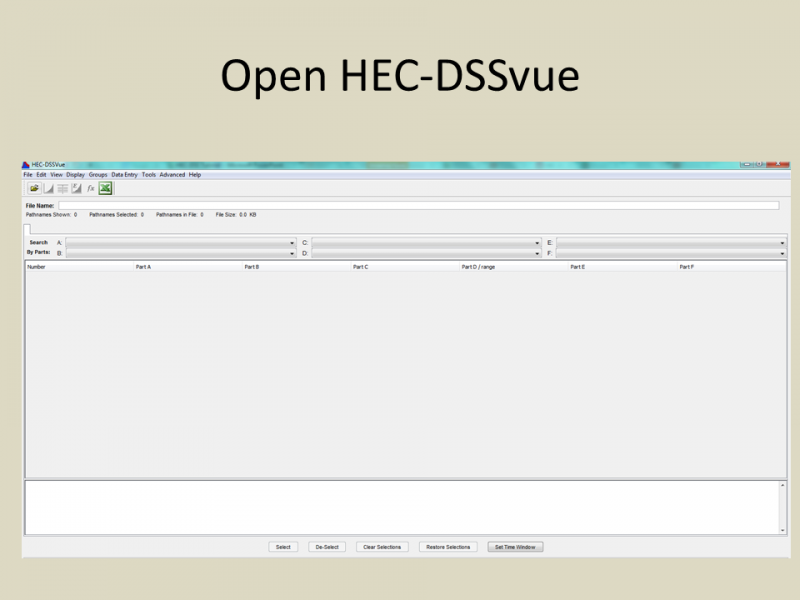 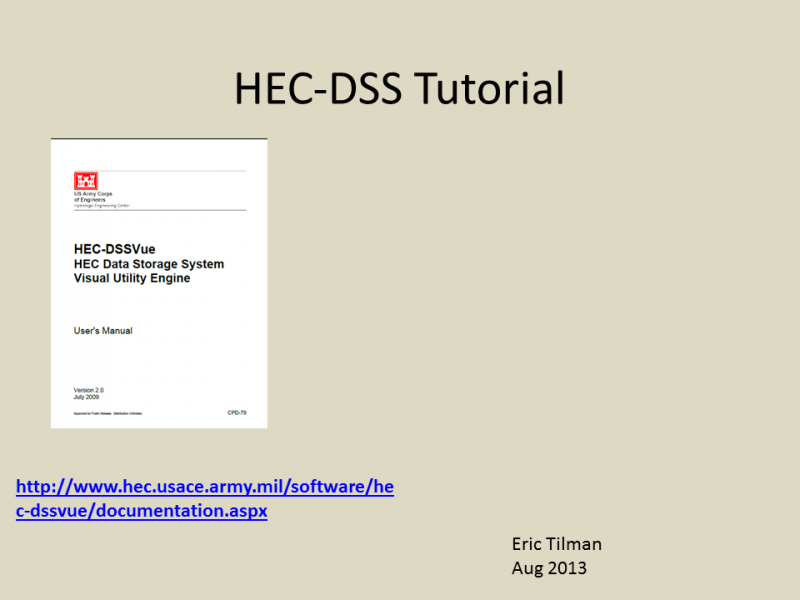 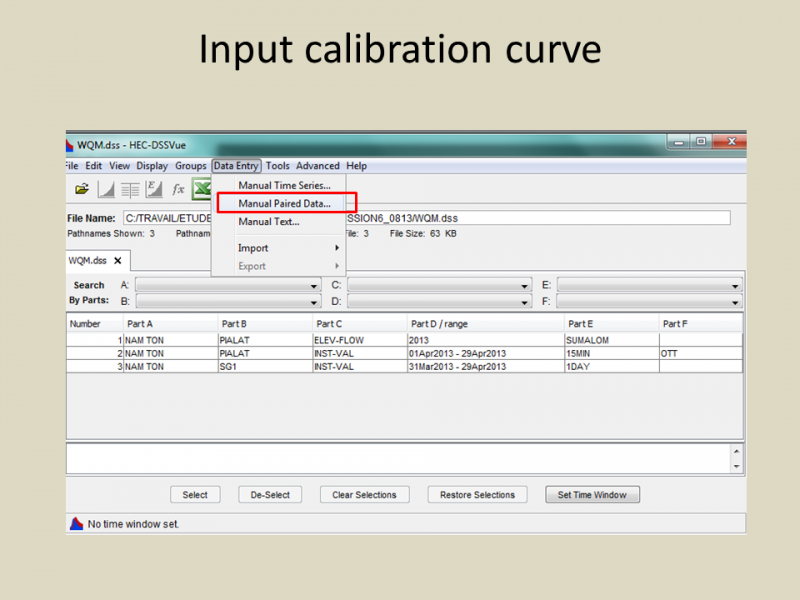 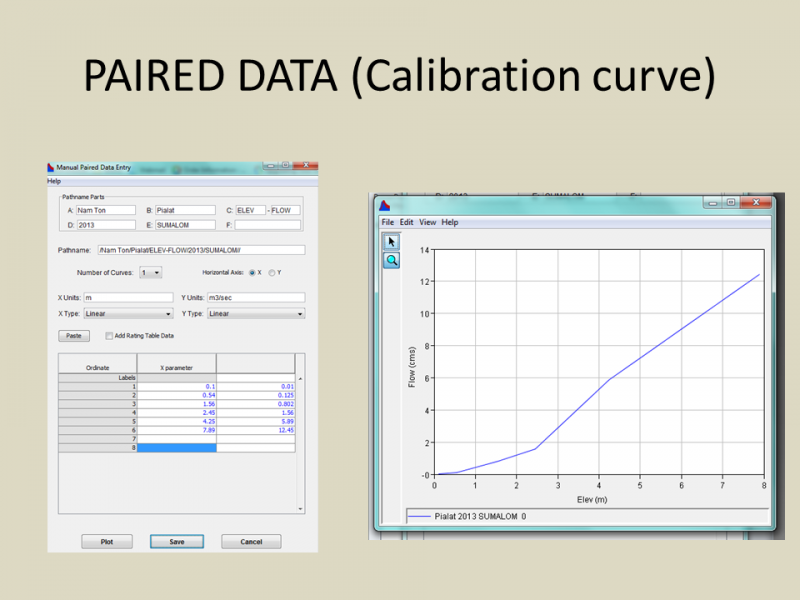 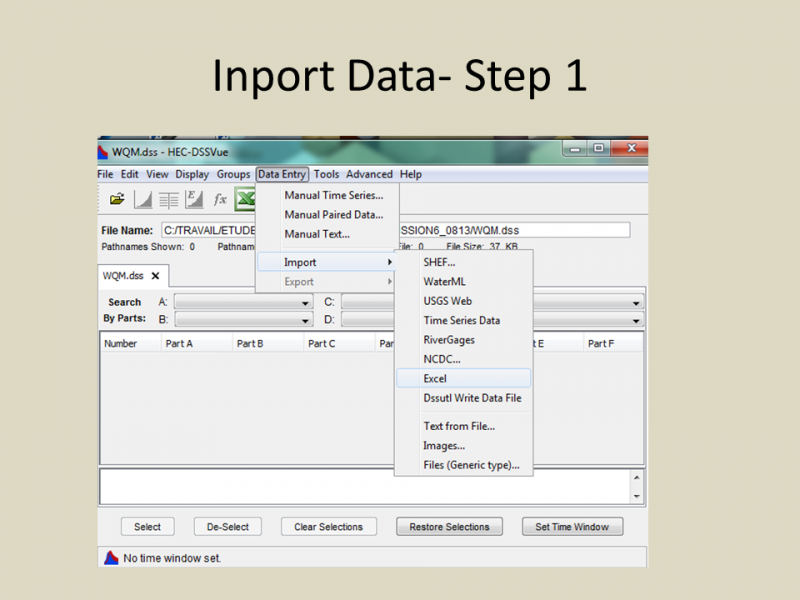 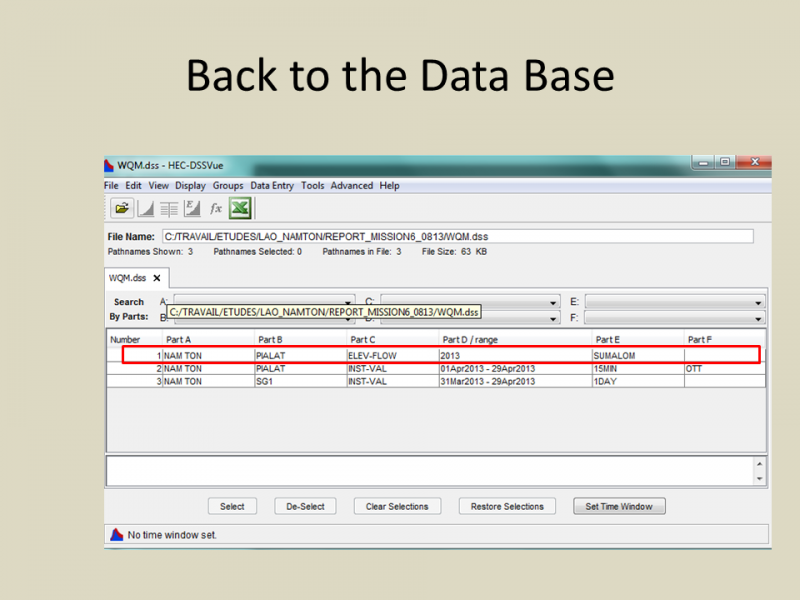 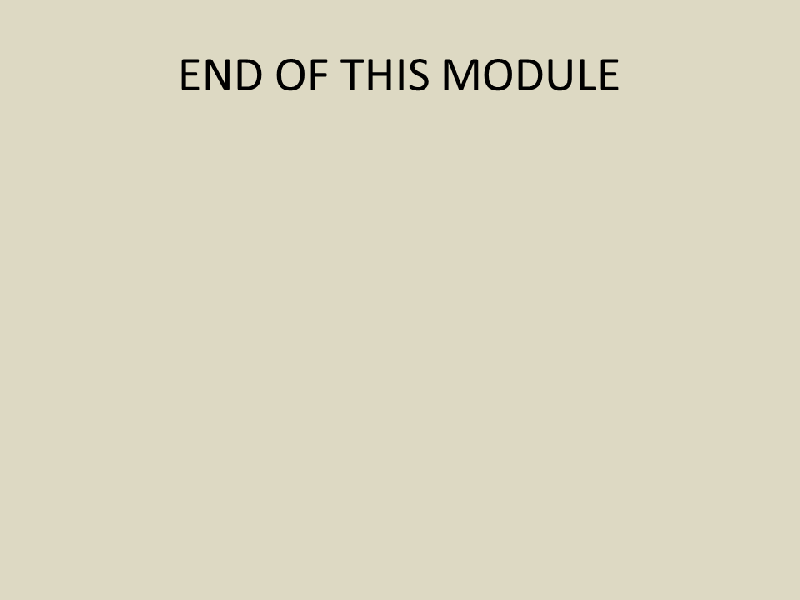 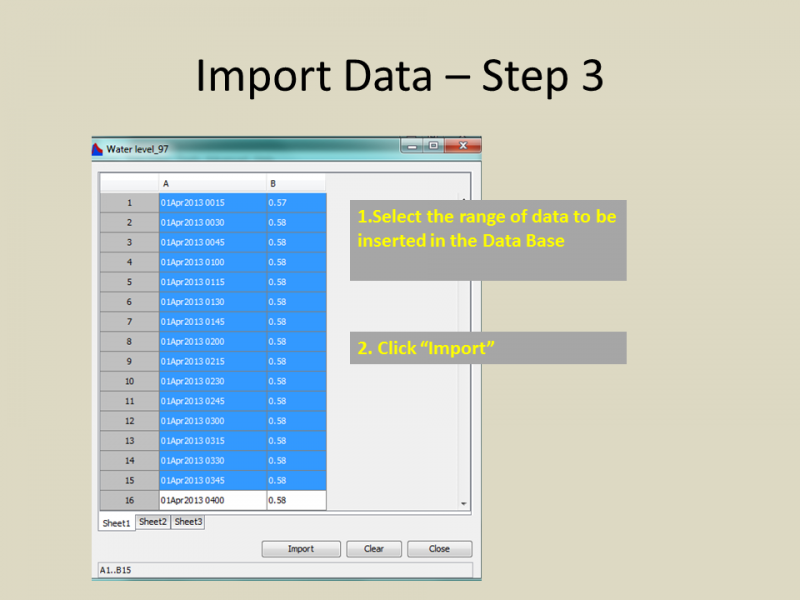 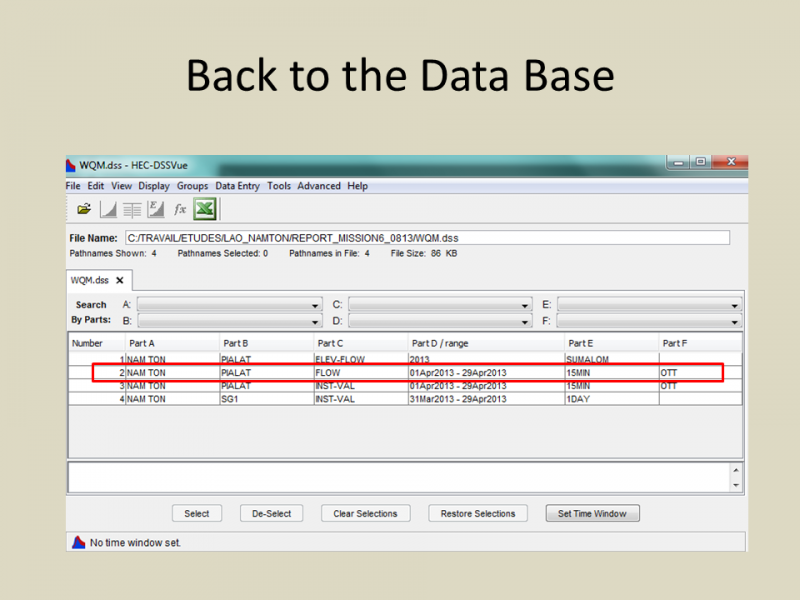 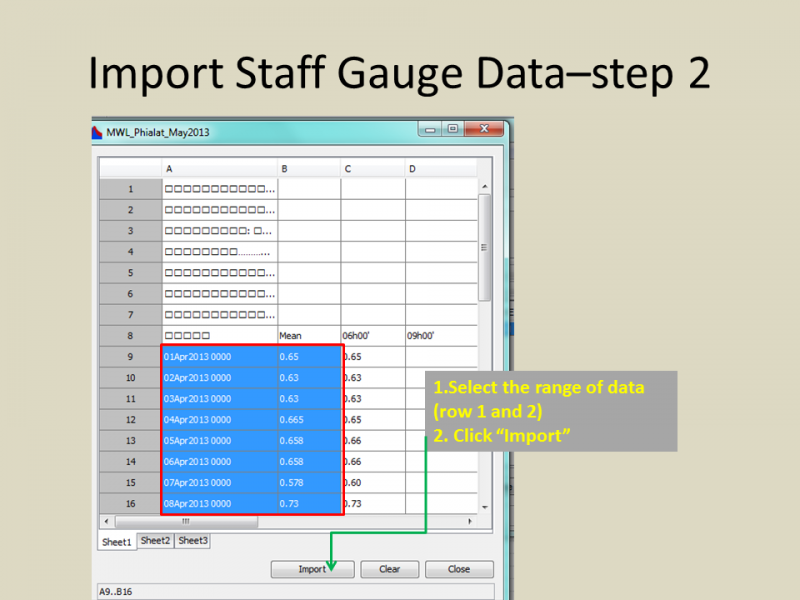 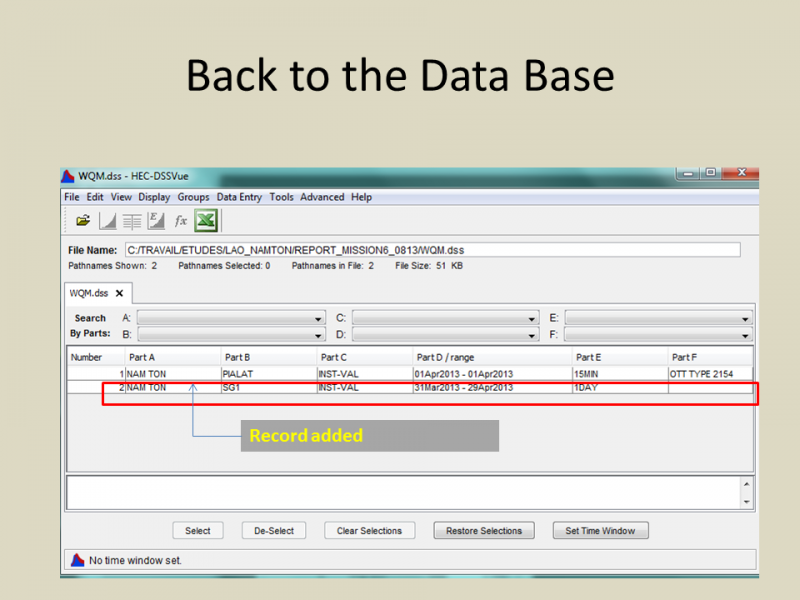 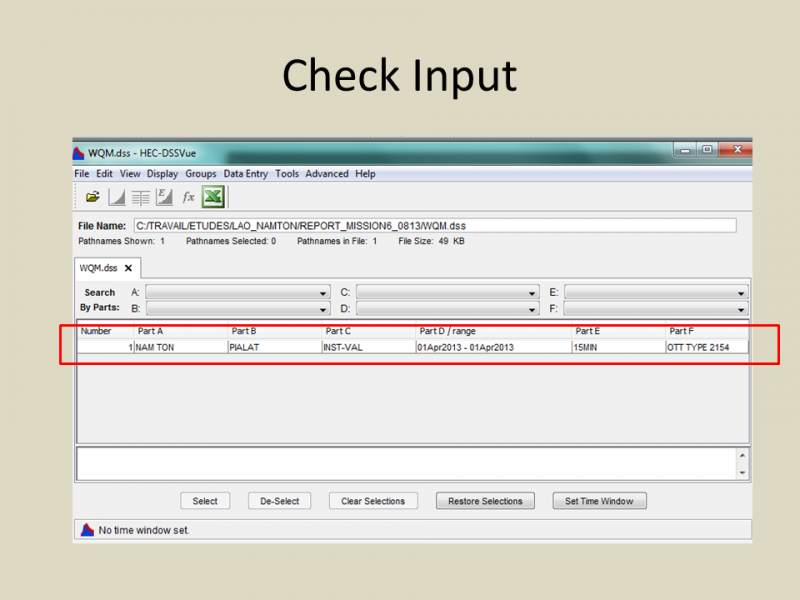 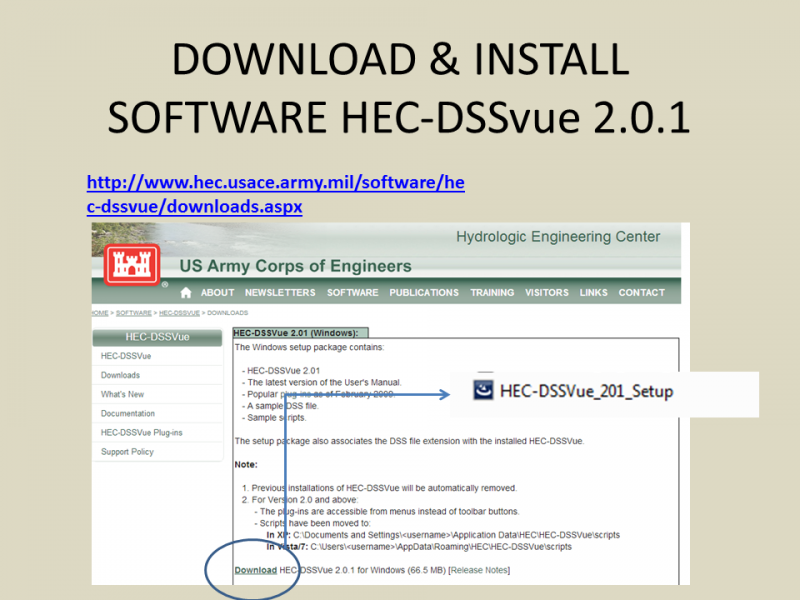 Data are encoded and uploaded in a Data Base using the software HEC-DSS. 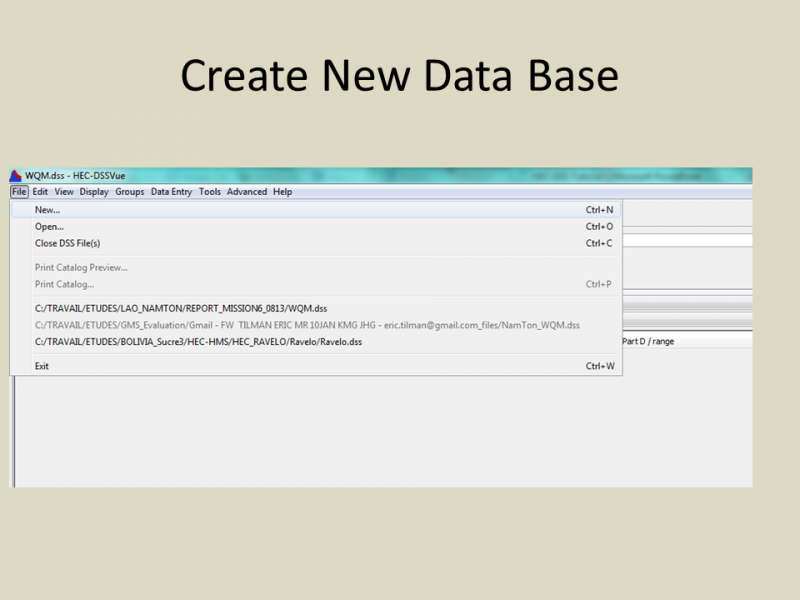 This data base is especially tailored for hydrological purposes. 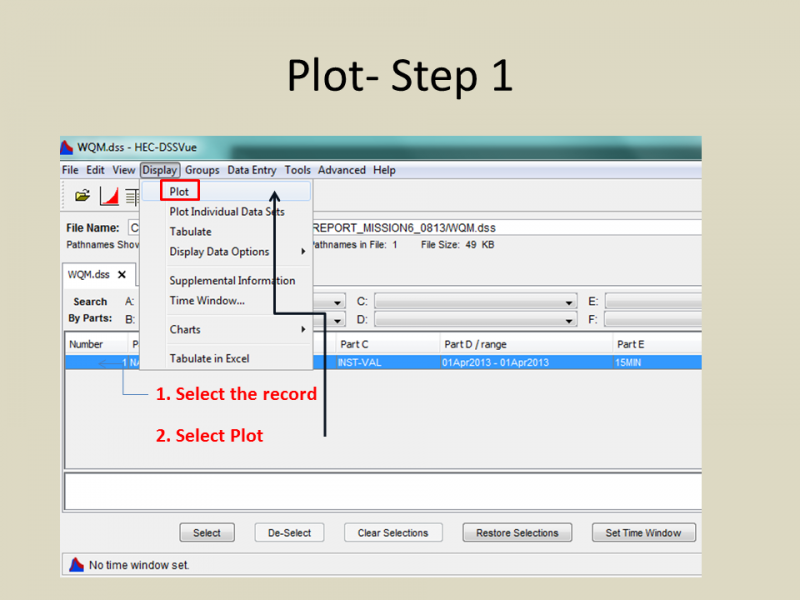 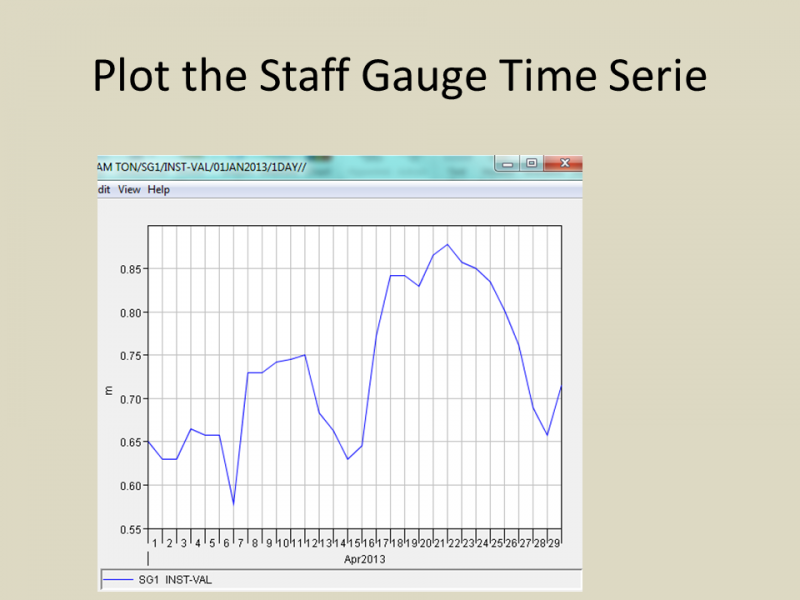 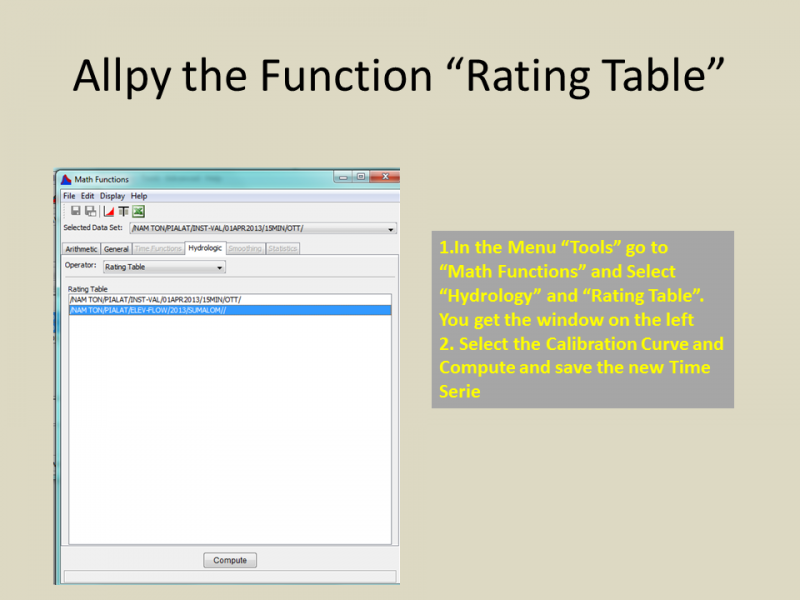 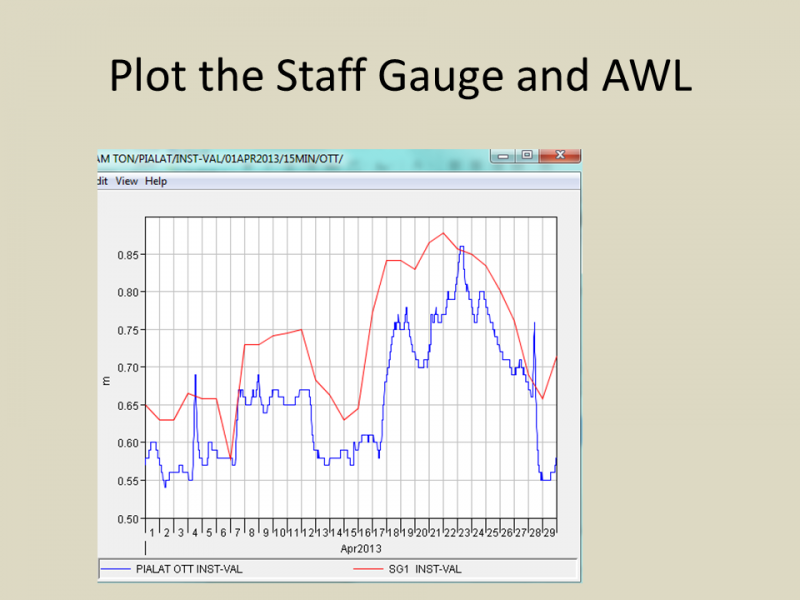 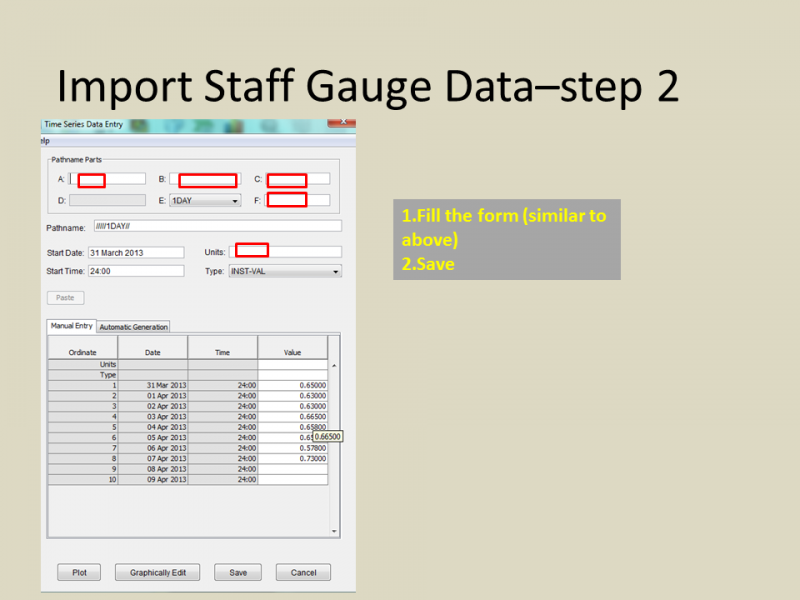 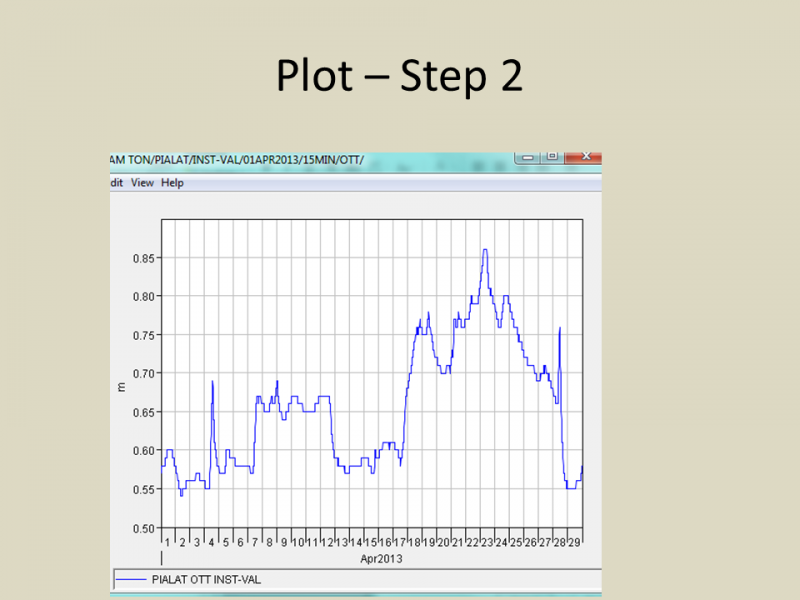 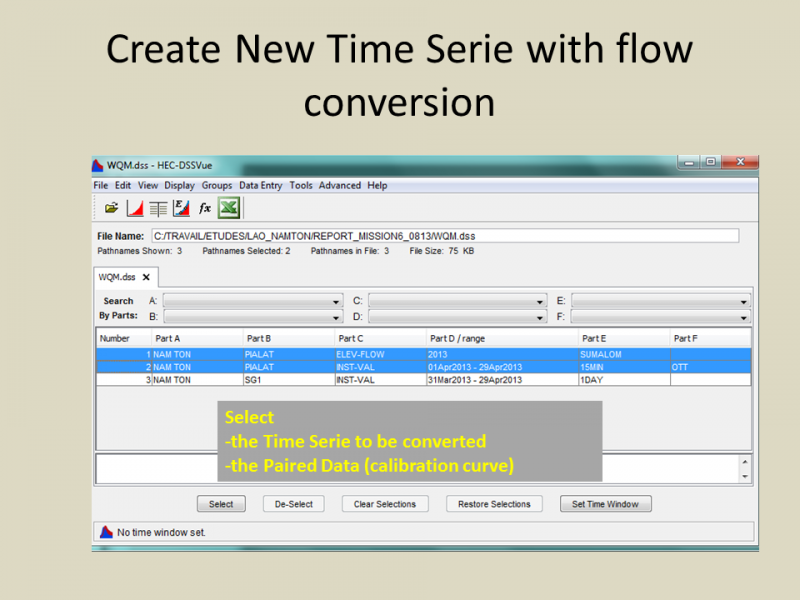 It allows in a next step to present time series and various statistical analysis. 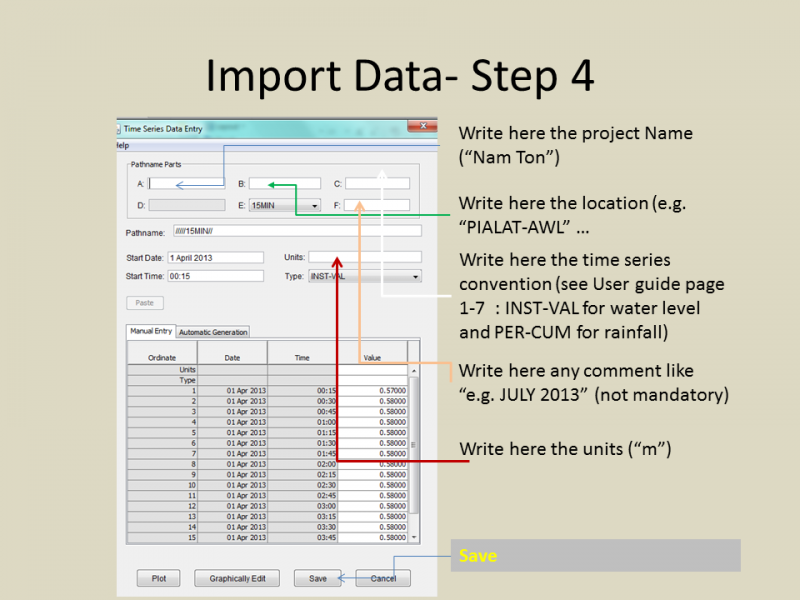 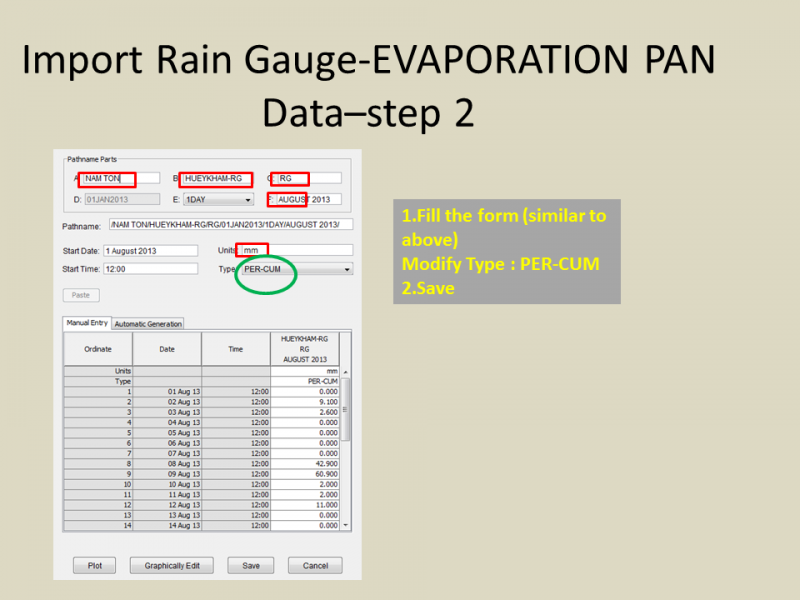 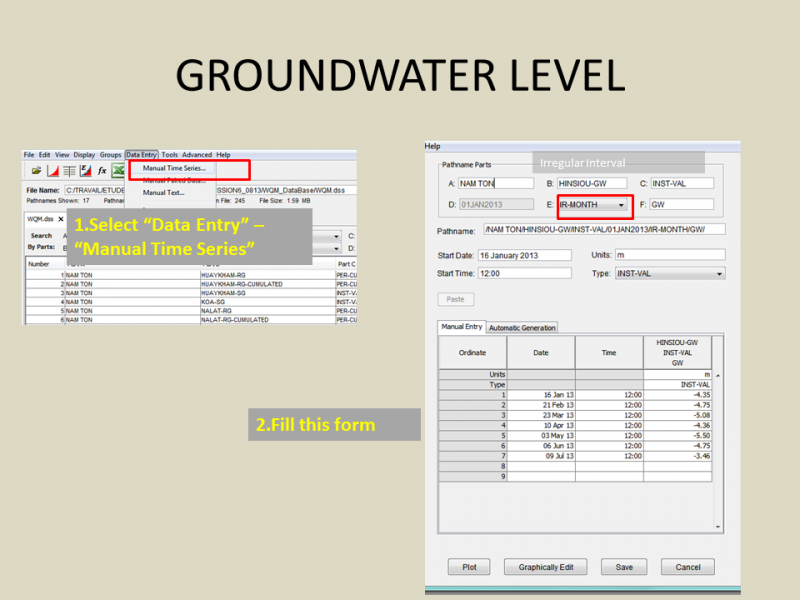 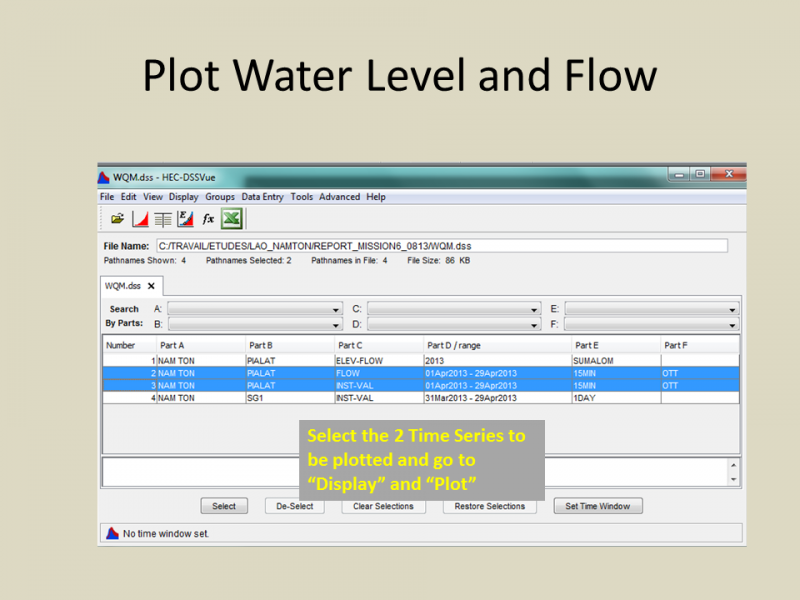 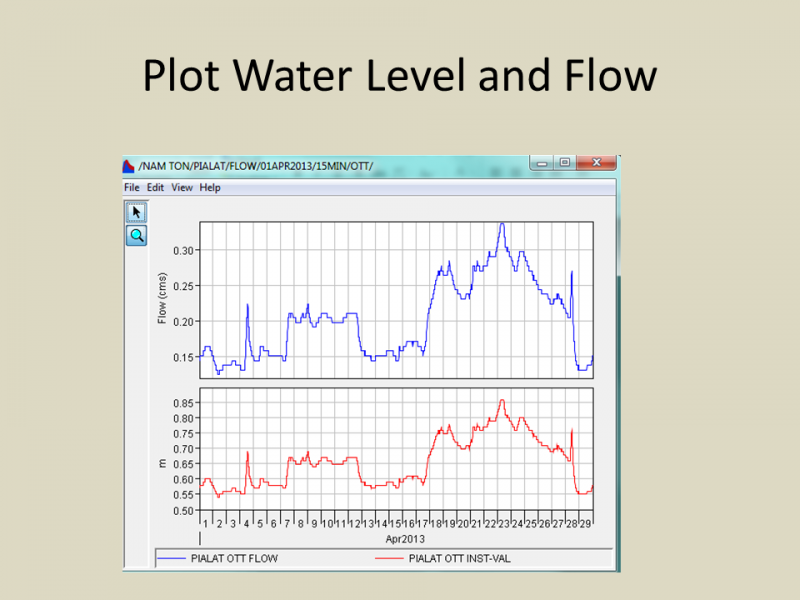 Moreover, this data base is part of a software package developed by the US Corps of Engineers which includes modelling for various application : flood, scenarios for infrastructure and water management in general (water use and availability).